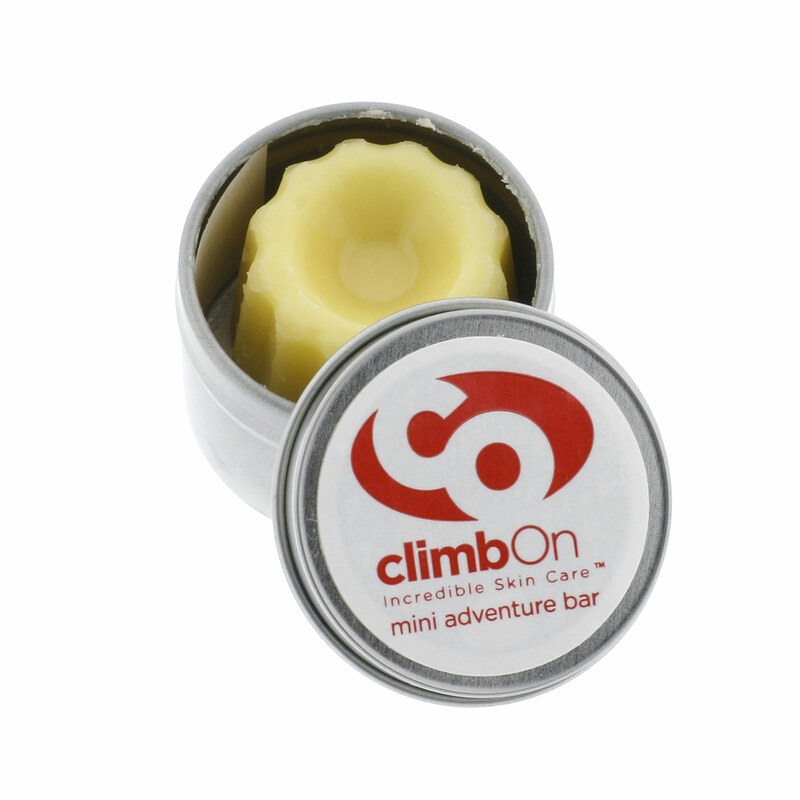 The ClimbOn Adventure Bar is a solid lotion bar that soothes and revitalises your skin before, during and after climbing. If you love your ClimbOn Bar but you're not crazy about the smell, you're in luck. Due to popular demand, ClimbOn have developed a bar that has all the same soothing, revitalising and cleansing properties as the original bar but with a scent to appeal to a range of different nasal passages. While the original bar uses lavender and Neroli oils, the Adventure Bar is infused with cedarwood and frankincense oils to promote calm and relaxation. Ideal for soothing cracks, cuts and split skin, put it on before, during and after climbing. Your hands will thank you!